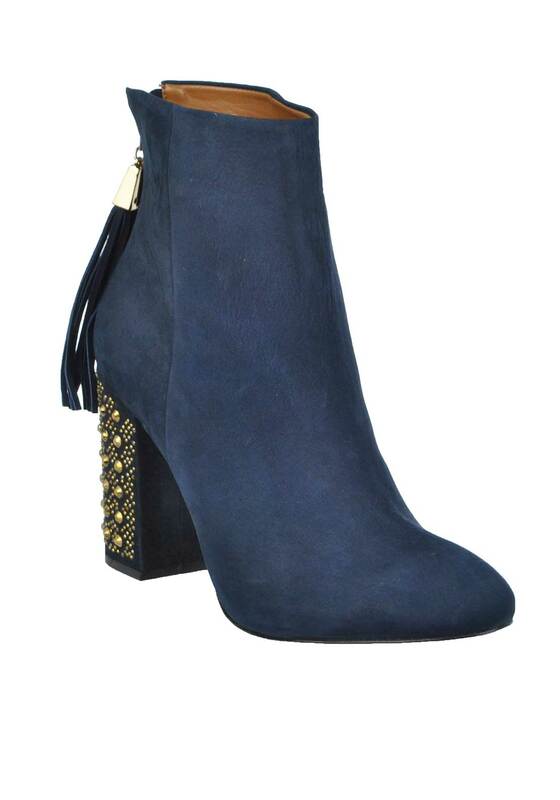 Contemporary and chic, these statement Jewell embellished heeled short boots will keep your style looking fresh. From Unique Footwear with a dazzling chunky block heel that is sure to get you noticed. They are presented in a lush soft suede with boho inspired hanging fringed tassels and soft pointed toe.